So Did the Tudors All Stink to High Heaven or What? Underwear was a different affair for the Tudors. You see, the Tudors dressed with an entirely different set of assumptions about cleanliness and hygiene. 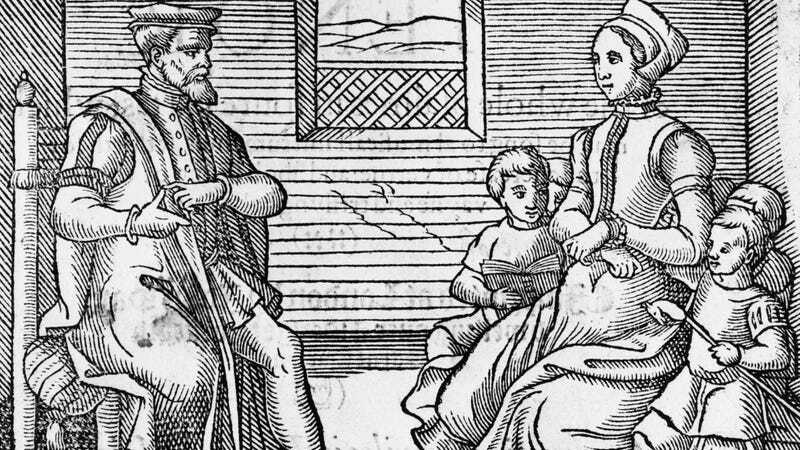 They thought infections came from miasma, which was dangerous to breathe but which might also creep into your skin via your pores, writes historian Ruth Goodman at The New Republic in an excerpt from her book How to Be a Tudor: A Dawn-to-Dusk Guide to Tudor Life. Therefore it behooved you to keep yourself covered with clean clothing as much as possible. But you weren’t going to launder your doublet or woolen dress every day. Hence the importance of your under things, the layer closest to your skin, more easily and frequently washed. Oh, and rather than slosh dubiously clean water all over themselves, they might wash their face and hands but rub their bodies down with a linen cloth. The first time was for a period of just over three months, while living in modern society. No one noticed! It helps, of course, if you wear natural-fibre clothes over the top of your linen underwear. I used a fine linen smock, over which I could wear a modern skirt and top without looking odd, and I wore a pair of fine linen hose beneath a nice thick pair of woollen opaque tights (these, of course, did contain a little elastane). I changed the smock and hose daily and rubbed myself down with a linen cloth in the evening before bed, and I took neither shower nor bath for the entire period. So if you’re gonna take a lesson from the Tudors: When in doubt, launder.